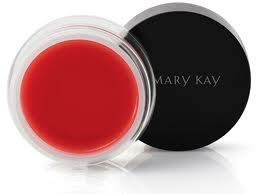 Mary Kay Cosmetics offers high quality and high performing skin care and cosmetics products. Beauty consultants offer make-over sessions where women learn makeup tips such as eye make up tips, and other make up application techniques. A business founded by a woman for women – Mary Kay Ash. It’s been making women beautiful since 1963. Customized skin care programs are promoted and sold through BEAUTY MAKE OVERS done by beauty advisors. Over the years, the company added men’s line and fragrance into their product lines. Have you ever dream of driving a pink cadillac? Mary Kay is famous for giving away pink Cadillacs to deserving beauty advisors (consultants) through their Mary Kay Career Car Program. You can start your business for as little as $75 and earn up to 50% commission on everything you sell. This company supports their advisors selling products on multiple channels such as online and at home parties. Mary Kay has more than 2.4 million Independent Beauty Consultants in more than 35 markets worldwide.